For far too many years, Chile has been cast as a monolithic wine producer. Maybe it once was. In fact, it surely was. But long gone are the days of Chilean Merlot or, worse, Carménère masquerading as Merlot. Yet, despite a rise by leaps and bounds in quality over the last couple of decades, Chilean wine still has to fight the perception of being purely a value-driven producer. That said, the Chileans have been more astute than some at anticipating the pitfalls of becoming a mono-varietal producer. The move towards higher quality and more interesting wines actually started several years ago. Until recently — with some notable exceptions — most of Chile’s modern-day production came from the flat plains of the Central Valley. For an industry controlled by remarkably few major players, this made sense — at least for a while. However, a new generation of winemakers is beginning to radically reshape the Chilean industry. And, in turn, how we consumers see it. The forces redefining Chile span a range of philosophies and styles but there is at least one common theme: the country’s topographical seclusion makes it an ideal candidate for sustainable wine-growing. That, in part, explains the success of the biodynamic focus at Emiliana and organic farming at Cono Sur — two producers who have very much helped bring organic wine out of the shallows and into the mainstream. Traditionally driven by exports, Chilean production has been forged to a great degree by outside influences, mainly European ones. However, today’s Chilean wine culture is increasingly home grown. 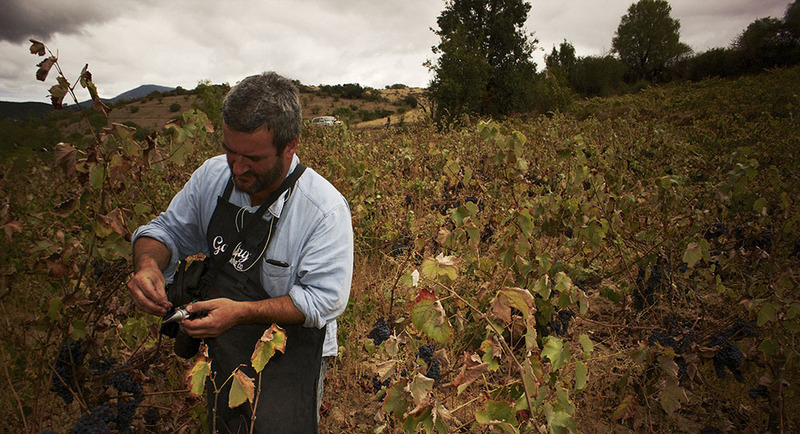 It’s being shaped by people who have come of age with a strong connection to the land and a firm conviction about terroir — especially in the southern regions, such as Bio Bio, Itata and Cauquenes, the seat of the original Chilean industry started by Spanish missionaries as far back as the 1550s. Among the most fervent is renowned viticulturist Pedro Parra. He compares the land around his home town of Concepción to the schisty and granite soils of Northern Rhône but says it’s uniquely personal experience that led him to projects such as Clos des Fous, which translates, literally, as “crazy guys,” a reference to Parra and his terroir-driven collaborators. Parra has made a name for himself consulting around the world (including at Okanagan Crush Pad since its genesis) and is celebrated for digging soil pits to show precisely what he’s talking about. Working with Italian Alberto Antonini, he’s been instrumental in sparking momentum for the purest vineyard expression, eradication of chemical farming, adherence to organic viticulture where possible and, essentially, minimal intervention. The Chilean revival is taking place on so many fronts that it can be challenging to keep track. But two key groups, MOVI and Vigno, are achieving impressive results and gaining well-deserved attention. What’s also interesting, though, is that while new “back to basics” movements elsewhere in the world have tended to emerge in response to large corporate dominance, that’s not been the case in Chile, where the majors have also participated in such projects. There’s a significant Canadian connection to the whole process, too, namely Derek Mossman Knapp, a former ski coach who by chance discovered Chile’s more remote areas when a change in weather prompted a detour away from New Zealand, his usual southern hemisphere training destination. Mossman Knapp followed his passion for wine by working with local garagistes and eventually established the Garage Wine Co., which he uses horses to farm. It was very much a response to the homogenized winemaking that defined Chile at the turn of the millennium. Mossman Knapp valued what small growers and hands-on farmers had to offer in terms of knowledge and dedication to their land. These and others are the guiding principles behind MOVI (the Movement of Independent Vintners), one of a dozen small independent associations, which he co-founded in 2009. Shortly after MOVI came Vigno, founded to focus on Carignan from Maule. The first Chilean Denomination of Origin to be based solely on technical criteria, the name is short for Vignadores de Carignan. Viñadores is the old Spanish name for winegrowers, modified with the emphatic “g” from Carignan. Vigno has to contain at least 65 percent dry-farmed Carignan from Maule, a stipulation that applies to any blended varieties, all from bush vines and unirrigated. Carignan, a mainstay of the new Chile, traces its modern roots to the devastating earthquake of 1939, which was centred on Chillán, in the Itata Valley, 400 kilometres south of Santiago. Not only did it inflict a huge loss of life, it also almost completely destroyed the infrastructure, labour force and economy in and around nearby Concepción. The earthquake also severely impacted key vineyard areas. Following these events, the government brought in Carignan cuttings as a means to help revive the industry and rebuild the volumes needed. The variety was chosen for its colour and high acidity, thought ideal for enhancing local blended grapes. But only recently have its old vines become appreciated for their true potential. The founding members behind Vigno span the spectrum, including the prime movers, Garage Wine Co., as well as Lomas de Cauquenes, Miguel Torres, Morande, Valdivieso, Undurraga and De Martino. In 2011, De Martino was one of the first larger wineries to suggest that a shift in Chile’s direction was not only possible but also already underway. Winemaker Marcelo Retamal and the winery’s ownership opted to follow what was at the time a fairly radical path — not using new oak and avoiding added yeasts or enzymes. “A goal of making just more refreshing and more drinkable wines,” says De Martino’s Guy Hooper. One of Chile’s original organic producers, and the country’s first certified carbon-neutral winery, De Martino embarked on a program of restoring indigenous varieties in vineyards owned in Elqui, Limarí and Itata. Most notably, in seeking a more authentic and traditional style of winemaking, De Martino became a one of the earliest adopters of terracotta amphora — a return to the original, rural style of winemaking introduced by the Spanish. De Martino’s Viejas Tinajas (“old amphora”) wines, made naturally with Cinsault and Muscat, earned wide acclaim and several celebrated accolades, placing them among Chile’s top wines. Made with unirrigated fruit grown in the coastal and mountainous region of the Itata Valley, 400 kilometres south of Santiago, they signalled a return to less interventionist winemaking on many levels. He adds that MOVI and Vigno are indicative of the new air of excitement in Chile. “Especially as some of the bigger wineries’ winemakers are now allowed to pursue their own projects. It’s good all around,” says Hooper. Surprisingly, one of the majors that became involved in Vigno was Viña Undurraga. Following a change in ownership in 2006, Undurraga changed direction to focus on more environmentally friendly practices throughout its vineyards. Winemaker Rafael Urrejola developed the TH range, as in Terroir Hunter, and consults with renowned oenologist Álvaro Espinoza, from Emiliana. The TH wines were developed as a deliberate departure from the more middle-of-the-road style that had previously defined the winery. Sourced from small organically oriented vineyards in lesser known regions, they are a firm expression of place that allow the fruit to speak through, unmasked by over-extraction and oak, more inclined to freshness and authenticity of flavours. I first encountered both the TH wines and Vigno on a trip to Chile a few years back. The enthusiasm shown by our small group of media was unanimous and well founded, especially that such a gently celebrated but relatively under the radar variety as Carignan would find favour in Chile of all places. One good taste led to another — and we soon found ourselves tasting a clutch of Vigno wines at celebrated Bocanáriz wine bar, Santiago’s “go-to” spot for wine insiders. Chile’s most recent sustainable initiatives tend to be coming from the smaller players. However, Emiliana has had an impact on a large scale and is continuing down the path it took a couple of decades back, when it became one of the first major players internationally to embrace organics and, more crucially, biodynamics. The newest addition to Emiliana’s stable is Salvaje, which saw its first vintage in 2014. “It started as a pilot project in a corner of the winery,” says Emiliana’s Fernando Pavon. “We were trying to push the boundaries some more, approaching winemaking with even more restrictions that we already use for our commercial-side wines,” he says. Pavon says the primary difference between Salvaje and Emiliana’s other biodynamic wines is the lack of any additives in the wine. “It is a totally natural wine in a way, even though we don’t label it as such: we just say ‘no sulphites added’,” he explains. Part of the challenge for Chilean producers is the cost and bureaucracy that must be accommodated to achieve certified organic status. Right now, the only certified Emiliana wine is top-tier Chi. But Coyam is in the works and it’s likely that others lower down the range will follow. “Now that biodynamic is becoming more mainstream, we feel it’s more important to certify the wine,” he adds. And for good reason. He notes that much of this trend is consumer driven. Just a few years ago, it was unheard of. Already, it’s a been a formidable journey for Chile’s modern wine industry in a relatively short length of time. But with this kind of renewed impetus, where key players are proudly returning to their roots, you can’t help but wonder if it’s only just begun. Syrah and Rousanne, from 15-year-old vines planted at 380m in Valle Casablanca. Stainless-steel fermented and aged. Forward deep red and black berries with some floral notes before a luscious palate of damson and mulberry accompanied by spice hints wrapped in well-integrated tannins. Well-structured with good acidity through a lingering end. Blend of Pucalan, Aconcagua Coast and Malleco, Itata fruit shows vibrant red fruit with some earthy undertones and spice before a quite plush but still fresh palate with cherry and red berries wrapped in well-integrated tannins with just a touch of savoury and mineral to close. A blend of Cinsault, Carignan, Malbec, Syrah and Carménère, from numerous vineyards in Itata and Cauquenes in Maule with 45- to 90-year-old vines, dry farmed and hand harvested. All native yeasts, cement and stainless-steel fermented. Complex aromas of black and red berries with some earthy hints on a floral and well-balanced, quite plush and rounded palate. Superbly balanced with elegant viscosity, freshness and acidity with good length to end. Mainly Cinsault (77.1%) blended from different parcels in Itata and Carignan from Cauquenes. Bush vines, all between 55 and 70 years old, all dry farmed. Cement and stainless-steel fermented. Crimson in the glass with lifted aromas of pure, bright red fruit, damson and raspberry before a palate of soft red berries with a wild edge and juicy acidity. Seductive length with hints of clove and five spice with approachable tannins and a hint of pepper. From dry-farmed, sustainably grown 50-year-old vines. Bright red berries with some stony notes up front, before a well-structured palate of damson and raspberry underpinned by grippy tannins and spice notes. Still youthful with lots of potential. Mainly Carignan with Cinsault, all dry farmed and sustainably grown, yields vibrant, complex red and dark berries, earthy and smoky notes before a raspberry and black cherry palate. Opens in the glass to superb black pepper and spice notes in the persistent, lingering finish. Made from old-vine Mission grapes brought by the Spanish, between 75 and 150 years old, including Muscat from Maule plus Torontel, Cristalina and others from Maule and Itata. Unquestionably one of the most unique Chilean whites, with leesy notes up front plus some chalky notes. Distinctive tannins, creamy textured, juicy and layered. Rust coloured in glass, with a dark strawberry and earthy top. A vinous, savoury entry with an appealing herbaceous edge. Good mid-palate weight with forest-floor notes and a fresh finish from just 11 percent abv.